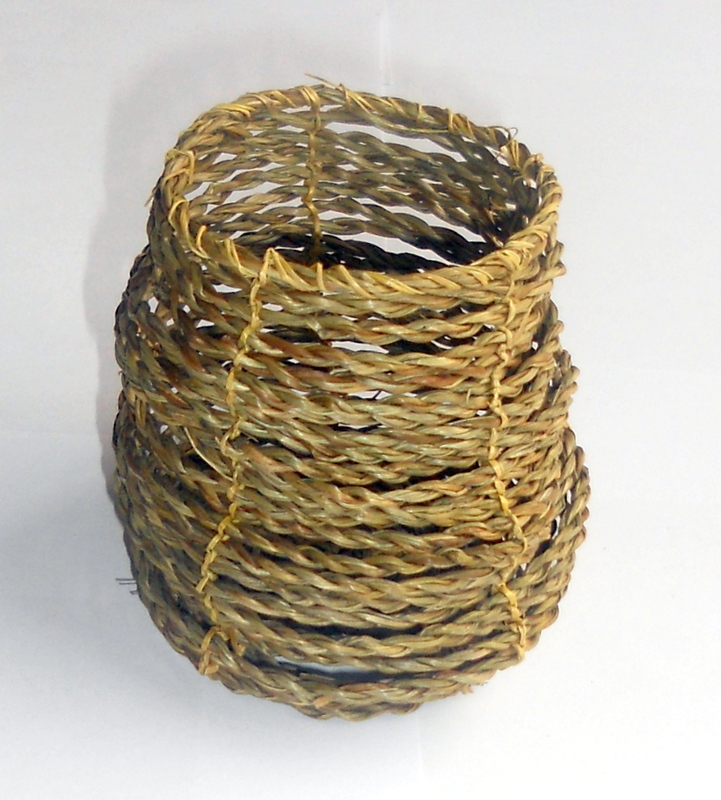 This month my basket is made from materials obtained during my trip to Scotland last October. 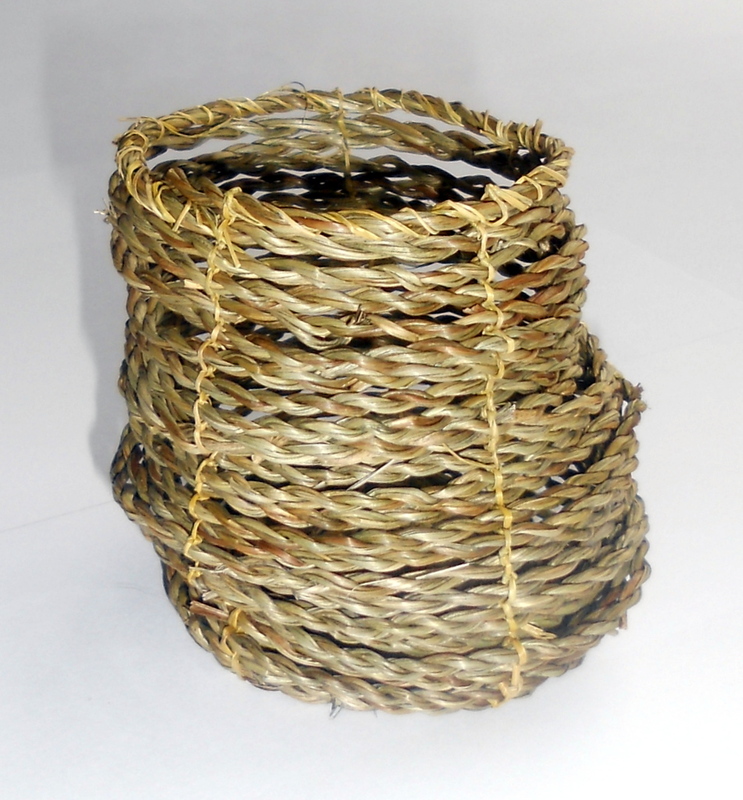 There are two different types of grass in the basket. The darker one is one that was cut from Dundee Botanic Gardens where I had been demonstrating at an open day. My friend Clare, the gardener had saved it when working in the gardens. I twisted this one into a length of cord. The other lighter coloured grass is marram grass (I think) collected on the Isle of Arran when I was back there visiting friends. 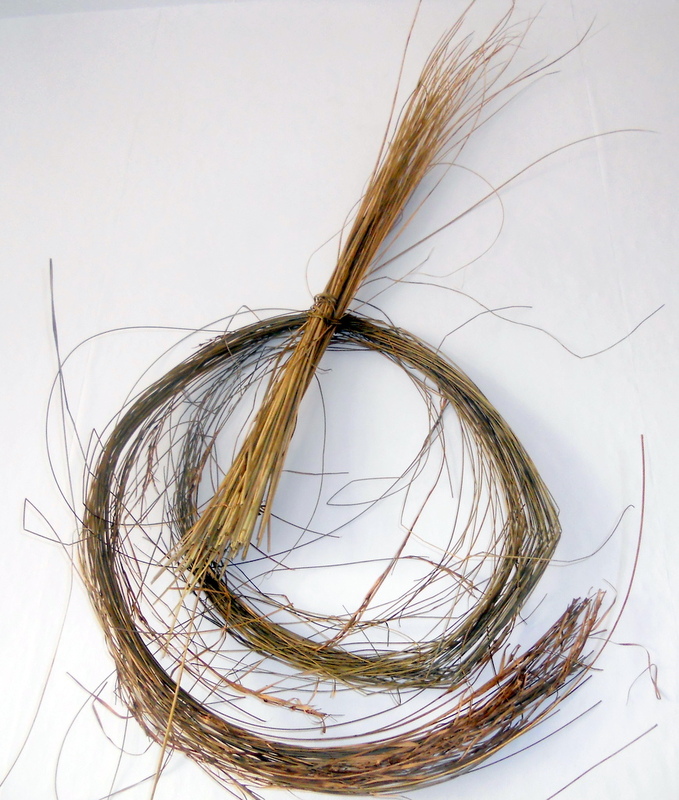 I split this into finer strands and used it to tie coils of the other grass together to form a basket. 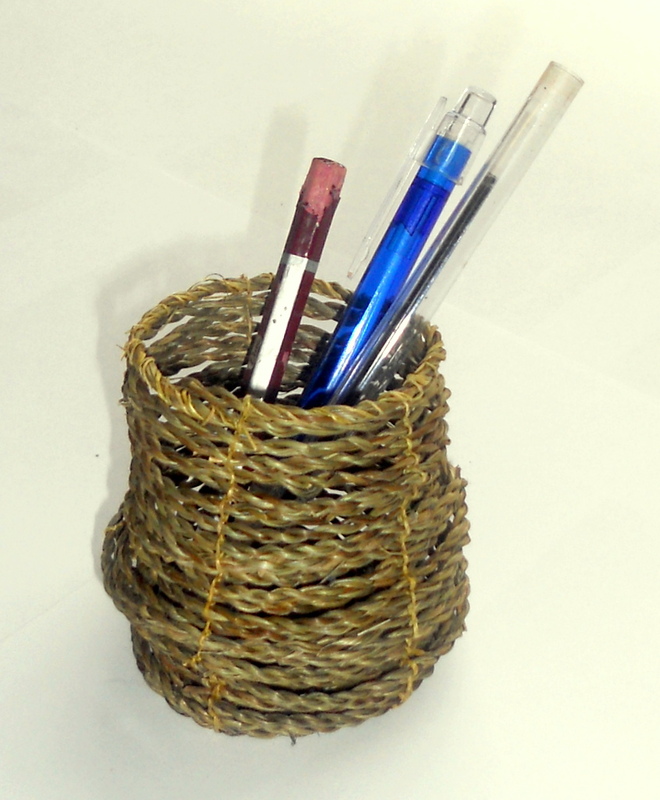 I need more practise to get it less wibbly wobbly shaped but it is useful as a pen holder!